Stand Up Comedian. Writer. Post-Modern Mystic. It's 10:00 a.m. on a Tuesday. I'm on my break from my straight gig. The thing I do from 8 to 5, Monday through Friday. Like clockwork. Office work. It's a good job actually. Decent pay with good benefits. My co-workers are nice enough. Most of them are smart and professional. The work itself is kind of a drag though. Monotonous is a word I would use to describe it most days. Some days it's not so bad. Other days I'm convinced it's the rest stop right before Hell's exit on the interstate of day jobs. It wouldn't be so awful if it wasn't for this other thing I do that occupies most of my thoughts, time, and energy. You see, most nights I'm a stand-up comedian. I'm a pretty good one too. I have a record deal with a cool independent comedy label that has put out a ton of amazing content from some of the biggest names in stand-up. 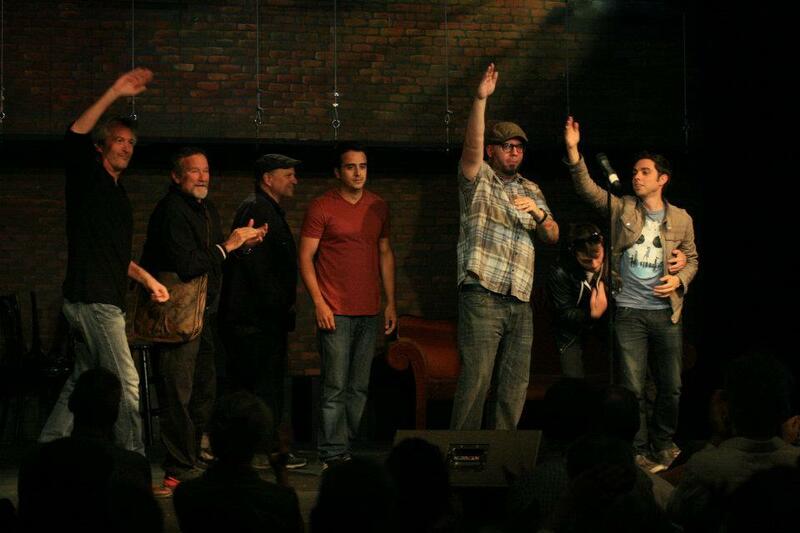 I've performed with some of my biggest heroes: Dave Attell, Brian Posehn, Doug Stanhope, to name a few. Hell, I even did a curtain call with Robin Williams and Bobcat Goldthwait to a standing room only crowd at the incredible Throckmorton Theater in Mill Valley, Calif. Being a full-time comedian and having a full-time day job is a challenge. Most days I find myself finishing my shift and then driving my Nissan Versa a couple of hours away for shows where I might only perform for 15 minutes before I rush back home because I have to work in the morning. It can be rough, but it's not without its perks. I remember one time I was opening for Dana Carvey on my birthday and after my set I headed back to the green room where I saw that Robin Williams was waiting for me. "Oh hey Robin!" I said in full fanboy mode. "Hey bossman, great set tonight." He replied. "Thank you! Are you going up?" 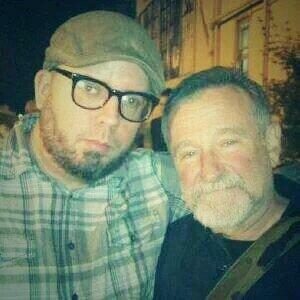 I asked, still blown away that Robin Williams watched my set. "Nah, I heard it was your birthday and just wanted to stop by and wish you well." I drove back on the biggest natural high I've ever had. I couldn't sleep. What an incredible moment! When I went to work the next morning, sleep-deprived, but still excited about the night before, I was greeted with: "Johnny, have you finished your reports? You're always late on these and frankly I'm tired of asking you about them." As much as I wanted to reply with: "No. I haven't and furthermore, I opened for a comedy legend last night and one of the biggest stars in the world stopped by to wish me happy birthday!" I just said: "No. But they'll be done by noon." Day jobs are the worst. I choose to live in Northern California and have convinced myself that I can get a break here in lieu of moving to Los Angeles or New York where the hub of the entertainment industry lays. I've had some chances too. I've auditioned for Comedy Central multiple times and have always been happy with how I did, but for whatever reason it didn't happen. Maybe they are over white dudes with beards. I don't really know. Most recently I had a unique opportunity to be cast on one of my favorite comedy shows on Comedy Central @midnight. I made it into the top 10 of their #PointsMe contest from thousands of entrants, but ultimately wasn't chosen. So close, yet so far away. Again. My break has been over for 30 minutes now. I've been secretly typing in my email so it looks like I'm working on something. I wanted to compose this now because I won't have time after work. I have to drive to a gig and all.